If you have pets you probably have a lot of other gadgets and accessories in your home. However, one of the most subtly helpful items can be an air purifier for pets. The reason behind this is that regardless of how much we love and care for our pets, they still might cause problems in a closed household. After all, any furry companion can have a negative impact on the air quality in the home. So, in order to avoid you or your family having problems breathing, we recommend finding the best pet air purifier for your needs, and getting it. This way, you will never have to explain yourself to relatives who are skeptical about pets either. Why do you need pet air purifier? There is a point in time when each pet owner notices a few symptoms that enough is enough. After all, the pets’ odor and hair can be potentially risky. So, the first things you might notice are someone in your household having a constantly runny nose. In other cases, the symptoms of needing a pet air purifier is sneezing, feeling itchy or having watery eyes. However – in most cases, you can notice the unpleasant odor from the moment you walk in your home. 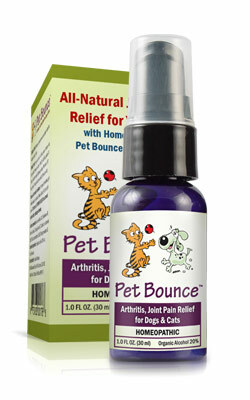 This doesn’t mean that you have to give up your pet – it is all natural. Still, this means that the air quality in your home has been affected by having pet presence. Luckily for you, there is a very easy and common solution to problems like this one – a pet air purifier. This is a small, simple and often reasonably priced device which is very handy. Namely, it has the purpose the name implies – it cleans the air from potentially harmful substances. In the end, you get to have it all – high quality air in your home which is safe for your whole household – and you get to keep your loving friend. As we said before, we really understand how having a pet can freshen up the whole house and make it a home. However, it is a huge part of our lives and our family members’ lives. This means that having a pet should be an enjoyable thing and not an issue for anyone living there. So, overcoming this challenge is easy with a pet air purifier. This device is there to improve the quality of life of both the pet – and your family too.You avoid feeling issues and problems even if you aren’t particularly allergic to the pet. After all, hair and dander, the skin cells of the pet can be dangerous to sensitive people. Instead, having a pet air purifier will result in no allergens in the air. The device works in such a way in which it pulls the allergens from the air and it actually cleans it. From the first time having one, you will notice a huge difference because it will be easier to breathe. Most of the air purifiers on the market are designed and manufactured in a way they effectively overcome issues coming from having a dog, cat, bird and other house animals. So, if you’ve concluded that you need one, we have good news for you. We combined a small list to help you choose the best pet air purifier for your needs and household. By choosing a proper one, you will see the positive effects and you will solve a potentially large problem in your home. So, we suggest preventing it from happening by getting a high-quality pet air purifier like the following ones. This is probably the best pet air purifier you can possibly find on the market, and it is very powerful too. It is excellent for those who have people with allergies in their home. Design-wise, you can customize the color and it will fit perfectly in your home. However, the more important part is the performance. Namely, you can chose from 4 different filtration technologies and you can use it according to your needs. Additionally, it has a specially designed filter technology that eliminates the odors from the air. So, if you have a large living room where your pet usually wanders, this is the purifier for you. It is very powerful and it can cover large rooms easily and seamlessly. Specifically, it can cover around 1100 square-feet of area which is simply outstanding. This 2-feet tall air purifier is an excellent choice for those who have animals who shed a lot and leave a lot of dander. The best part of it is the true HEPA filter – which is the best in business. It also comes with three different filter technologies incorporated in the unit. It is also very functional if you or your family have known pet allergies. The HEPA filter we talked about easily and thoroughly eliminates dander and other pet particles from the air, making it a perfect breathing environment. Additionally, there is a carbon filter which eliminates all pet odors and smells from your whole home. It also has a very handy display panel with which you can control almost anything. And you get to move it around easily because it is lightweight. It is super quiet too! Another excellent pet air purifier you should consider is the Winix one. It was designed to keep the pet owners happy and healthy. Amongst the best things about it is the auto mode and the timer. However, it has some other cool features like a remote control for people who don’t want to get up from the sofa. Also, the filters are washable, so, you can use this air purifier for a very long time without feeling a thing. Indeed, this easy-to-maintain, durable air purifier is an excellent solution to your pet odor and allergy problems. Regardless of which one you choose – one thing is sure. You will have a relevant and effective solution and to your problems. More importantly, you get to keep the loving and fluffy pet you have without causing harm to anyone. After all, health definitely something you should care about, even as a pet owner.